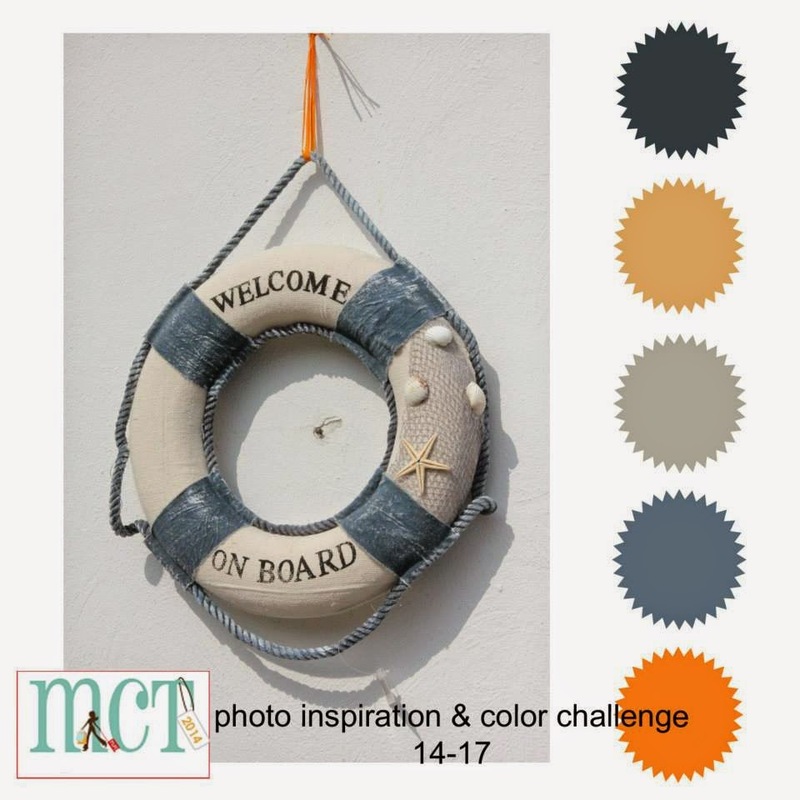 For our tags today, we all used this photo inspiration for what we did! Please excuse my wet glossy accents, I was too impatient to wait for it to dry! lol…. I hope you enjoyed my tag as much as I enjoyed making it for you today! Don't forget to click on each name to visit each blog & leave them some LOVE! P.S. It looks like you all wiped me out on ALOT of my dies! Start checking back at the end of this week & for the next few weeks as they will start coming back in stock, little by little! Good Morning Miss Emma love your tag it's so cute!! gosh thanks for all the neat and fabulous ideas you came up with using all your goodies and you used lots for sure. 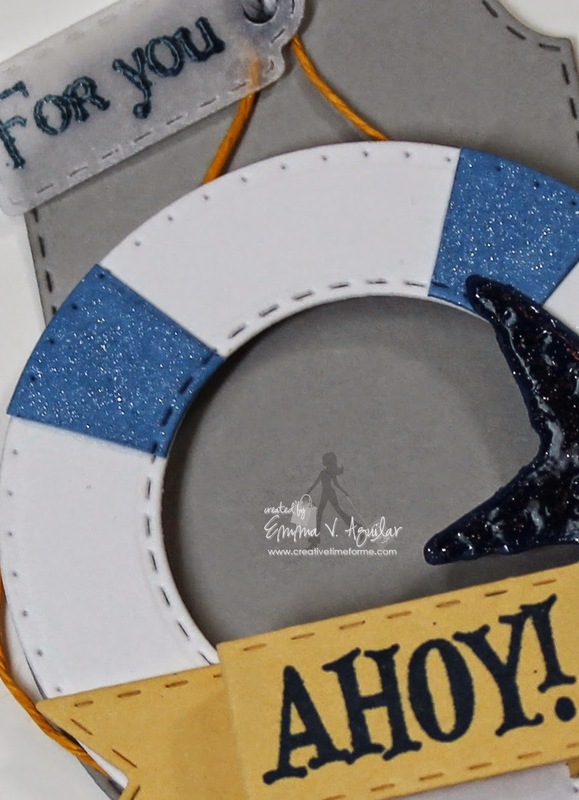 I love how you put the star fish on the life saver and the twine for the rope it make for such a fun look. What a fun time at your home last night celebrate a Birthday and a Baseball game great family fun for sure!! Oh my what wonderful work by everyone! So fun to see how everyone interpreted the inspiration! Awesome work! I love the inspiration for today's creations! Emma your tag is super awesome! It goes perfectly with the theme and colors! The Design Team did fantastic as always too! Happy birthday to your husband! Gorgeous tag Emma, love the shiny starfish. Love all the tags this morning! I like how you modified the vintage banner! Your design team and you have done a great job combining sets together to show how they compliment each other! Oh wow~I love all the fun inspiration today! The tags are darling and what a fun theme! Happy Birthday to your hubby! Have a super day! I love your tag, Emma! Great colors! Good morning Emma!! 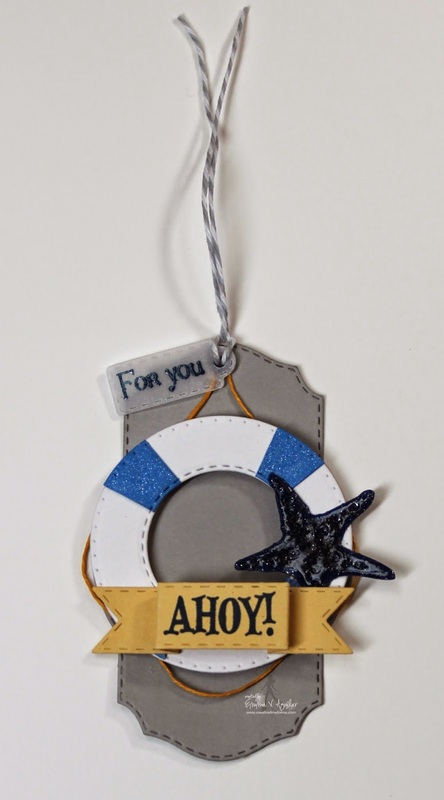 Loving your nautical tag!! Your design team continues to amaze me with their creativity!! How awesome is that my birthday was on Sunday, wishing your hubby a fabulous birthday!! Cancers rock!! Great tags ladies! Always inspiring! What a pretty tag Emma!! Great tag! I like the starfish and glitter on the ring. Clever to make it from the label. You and your fabulous Design Team had some wonderful tags today. Super job everyone! awesome tags ladies!!! LOVE everyone's take on the inspiration pic!! Emma ~ What a GORGEOUS tag! I LOVE that you used the vintage die too!!!! CLEVER!! LOVE this color pallet and everyone just ROCKED it! Oh LOVE the black starfish!!! !